A significant freestanding facility in a tightly held pocket of Melbourne’s south-eastern industrial market has been sold for more than $9 million after attracting both local and interstate interest. 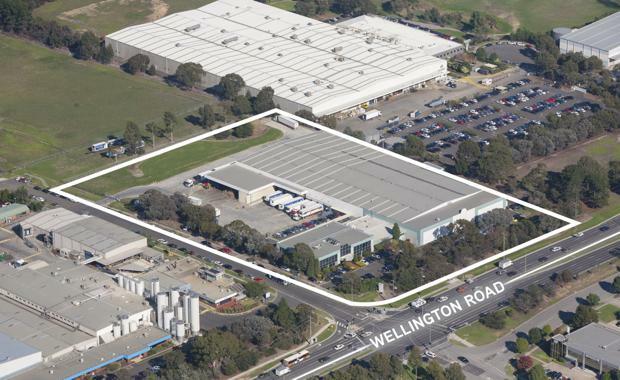 By way of Expressions of Interest, 830 Wellington Road in Rowville on behalf of a private interstate investment client was sold by Colliers International’s Justin Fried and Andrew Chrapot, in conjunction with Daniel Kelly and Lynton Williams of Savills. “This significant freestanding cool room, dry store and office facility has been well maintained and was offered for sale with short term income from national long standing tenant, Parmalat Australia Pty Ltd,” Mr Fried said. The large main road site comprised 2.656 hectares on one title with a site coverage of around 30%, offering flexibility with near immediate owner occupation, expansion or redevelopment potential, subject to council approval. Due to the real estate location, facilities and opportunities the retail precinct provides, the property attracted significant interest from both local and interstate investors and significant owner-occupiers. It was finally snapped up by a Melbourne-based, privately-owned transport businesses with operations already cemented in Melbourne’s south east. The property comprised a total building area of approximately 8,801 square metres, including 4,690 square metres of chilled warehouse space with multiple loading docks on two sides of the building. There was also a substantial canopy and dry warehouse storage along with several truck driveways and loading areas where significant upgrades had been undertaken. “The campaign and sale demonstrates the strength and depth of current demand for established, large scale facilities in this tightly held, fully developed industrial precinct of Melbourne,” Mr Kelly said.